Today we have Fallout animations, Overwatch surges, awkward tranquilization and much more! What am I looking at in that gif? 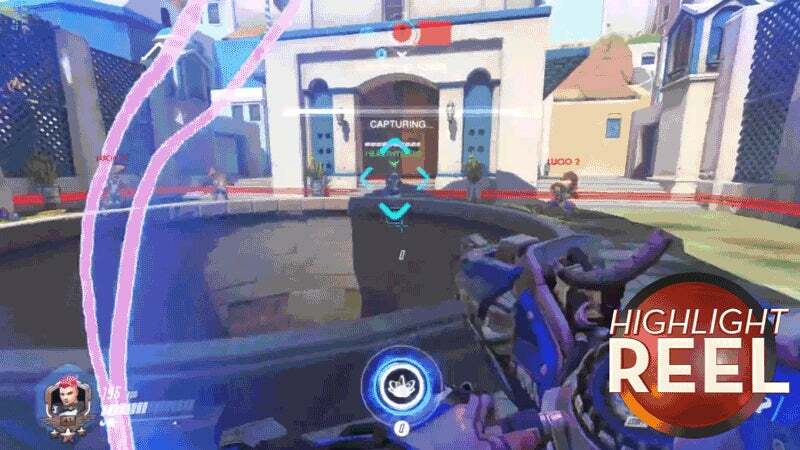 Zarya needs a target point to aim her ultimate at, so sticking the ice wall out over the well lets her target the black hole on it, drawing all the enemies over the abyss. Uhuh and why is there a bottomless pit in a contested location? Makes it easier to win the contest. There are quite a few "environmental hazards" in contestable locations in Overwatch. They're often used for 'boops' (knockback kills over the edge, named because Lucio says "Boop!" when he uses his knockback ability).